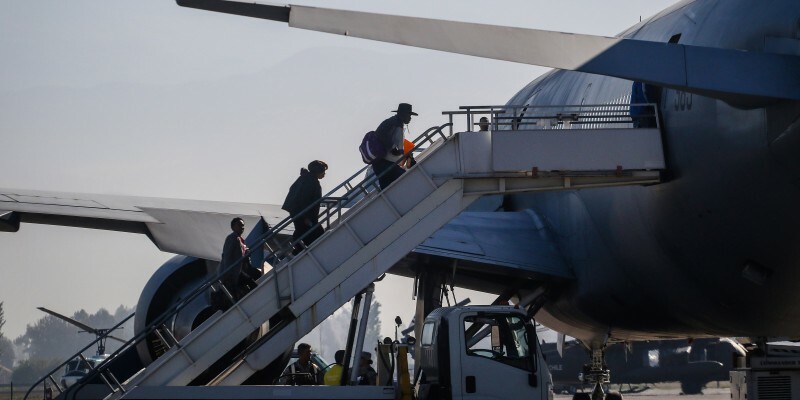 Frantic efforts are now underway in the United Kingdom in a bid to prevent the scheduled deportation this week of at least 50 people to Jamaica. Among those being forcibly removed from the UK are a 45-year-old man who left Jamaica at age four; a 23-year-old with no ties to Jamaica; and a man who served in the British army, has five children who are British nationals and who now suffers from post-traumatic stress disorder (PTSD) brought on by the tours of duty he served in Afghanistan. 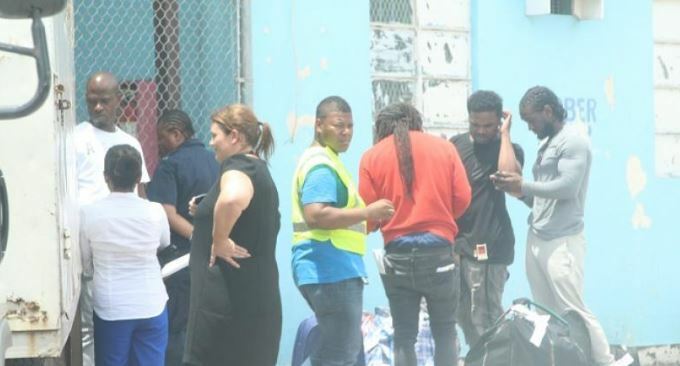 Both Jamaican and UK authorities have confirmed that a special charter flight with the deportees and dozens of law enforcement officials is due in the island on Wednesday. It will mark the first mass deportation from the UK to Jamaica since March 2017. Those against the deportation argue that, at least some of those to be deported, arrived in the UK as children and have no ties to Jamaica. They also cite that, among the deportees, are parents with British children. Opponents also argue that issues surrounding the Windrush scandal that erupted in 2018 are still unresolved. One of those believed to be facing deportation is Owen Haisley, a Manchester-based musician who arrived legally in the UK in 1977 with his mother and sister, when he was four years old. According to the Guardian newspaper, an online petition demanding an end to the deportation had been signed by more than 3,000 people by 3:00pm on Sunday. Haisely, who has three children, all of whom have full British citizenship, was reportedly detained on Friday and is being held at Harmondsworth immigration detention centre near Heathrow airport. He is reported to have served a sentence for domestic violence in 2015, before undergoing rehabilitation. Andy Burnham, the mayor of Greater Manchester, had promised to write to the home secretary, Sajid Javid, on Monday about Haisley’s case. Also among those due to be deported this week is Twane Morgan. He was detained about two weeks ago while signing in with the Home Office. He has been held at Colnbrook immigration removal centre in London ever since. Morgan is one of a number of Commonwealth soldiers who have served in the British army to be so caught up, said Zita Holbourne, national co-chair of Black Activists Rising Against Cuts UK and the national vice president of the PCS union. She was writing in the Guardian newspaper on Monday. According to Holbourne, Morgan should be exempt from removal as those who have served in the army are entitled to become British citizens. She said Morgan enrolled in the army in his early 20s and served two tours in Afghanistan. He was medically discharged after three years with severe PTSD. He received no aftercare, was denied NHS services, was deemed to be an overstayer and developed bipolar disorder. It was not until 2017, some 10 years after he was discharged, that he was able to see a psychiatrist, who diagnosed him as having complex trauma PTSD, said Holbourne. Morgan has five young children and has been with his current partner for eight years. “His eldest son told me that he needs his dad in his life. Because of his conditions Morgan also needs the care of his family in the UK. He has no family in Jamaica. The treatment of Commonwealth soldiers is akin to that of the Windrush generation – they should not be facing deportation,” Holbourne stated. Holbourne argued that Morgan’s case is akin to double punishment as he was sentenced to six years in prison after stabbing a man as he defended himself from a hammer attack while under the influence of alcohol. He was released after three years. David Lammy, the Labour MP for Tottenham, has taken it one step further. He asserts that the deportation charter was an insult to the victims of the Windrush scandal. He told the Guardian that: “Britain stopped deporting British criminals to Australia in 1868. This forced repatriation is a scandal in itself, but to re-commence it before the compensation scheme for the Home Office’s previous abuses has been rolled out is an insult to the victims who have already been falsely deported or detained by their own government. “I have met many Windrush citizens forced into petty crime precisely because of the government’s hostile environment outrageously stripping them of their rights to work, healthcare, housing and benefits,” Lammy added. And he has an ally who is a very influential member of the UK parliament in shadow home secretary, Diane Abbott, who called for full transparency over the “brutal” chartered flight deportations.